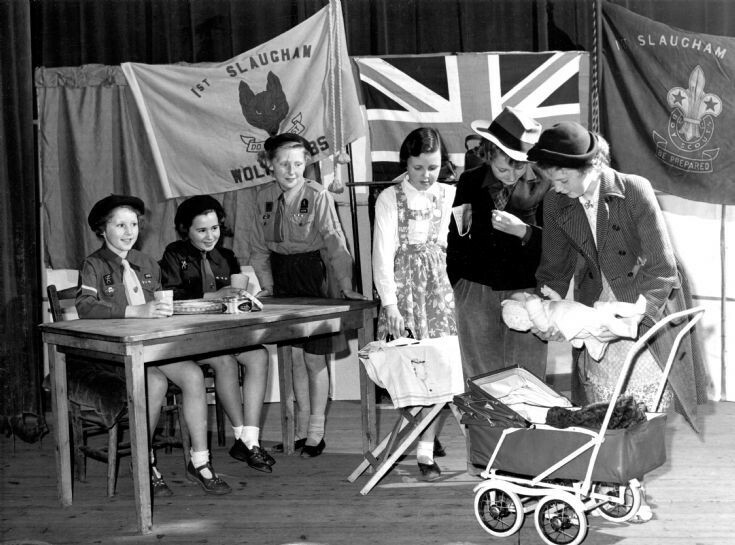 There is no information with this photograph, but it clearly shows members of the Handcross Girl Guides in some sort of play. It’s hard to guess what the play is about, but perhaps a kidnapper has stolen the baby and replaced it with a doll? From the left, Doreen Kemp, Janet James, Sally Chamberlain, Penny Housby, Sally Ray, Ruby Boxall. I am not certain about Sally, though. Please can anyone confirm or correct? Click on Large Version for a close up.